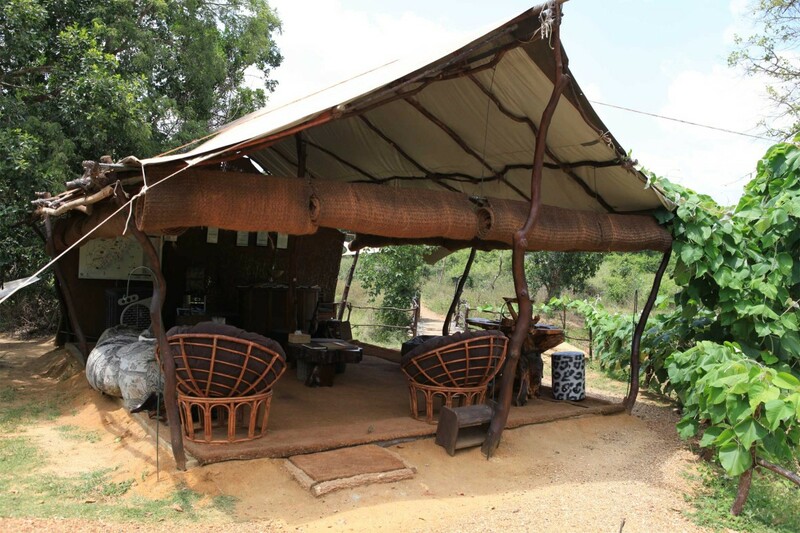 As with other camping operators, Noel Rodrigo’s Leopard Safaris offers a very different wildlife experience from lodge-based safaris in Yala and Wilpattu National Parks, the two largest and best wildlife reserves in Sri Lanka. Set within the buffer zones for the parks and thus close enough to reach the entrance early, the large, walk-in tents are well spaced and have king sized beds with proper mattresses and linen, fan, bedside table, separate living area with chairs and outdoor furnished sitting areas. 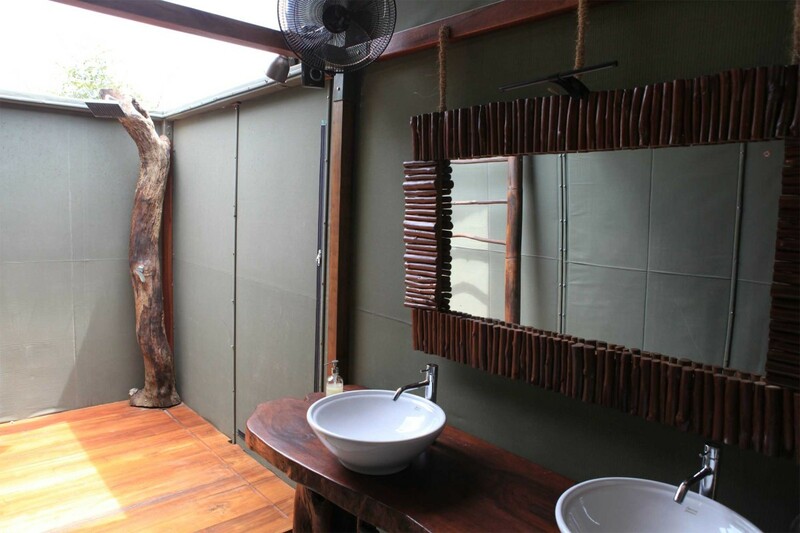 There is a separate shower tent with basin and hot and cold water shower and separate tent with a fully flushable toilet. 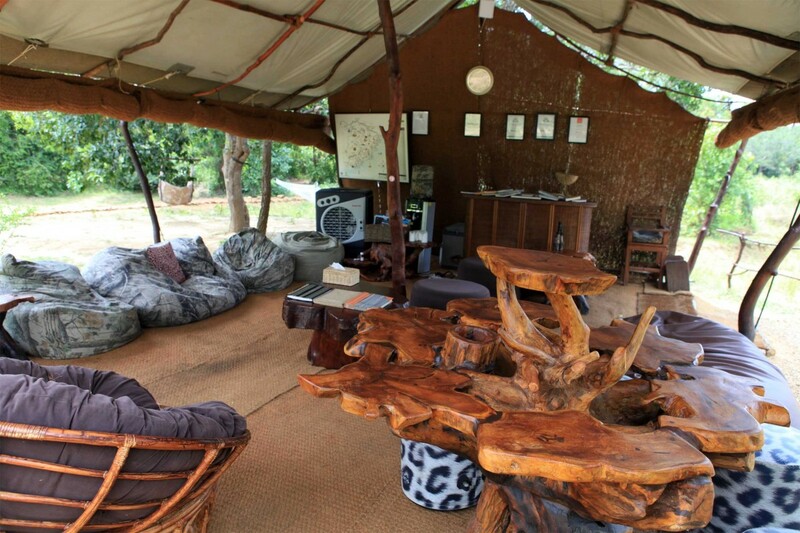 There is a bar area where a good range of local and international beers, wines and spirits are served, a relaxation tent with cushions and intermittent WiFi access, and a dining area with fully laid table and chairs. 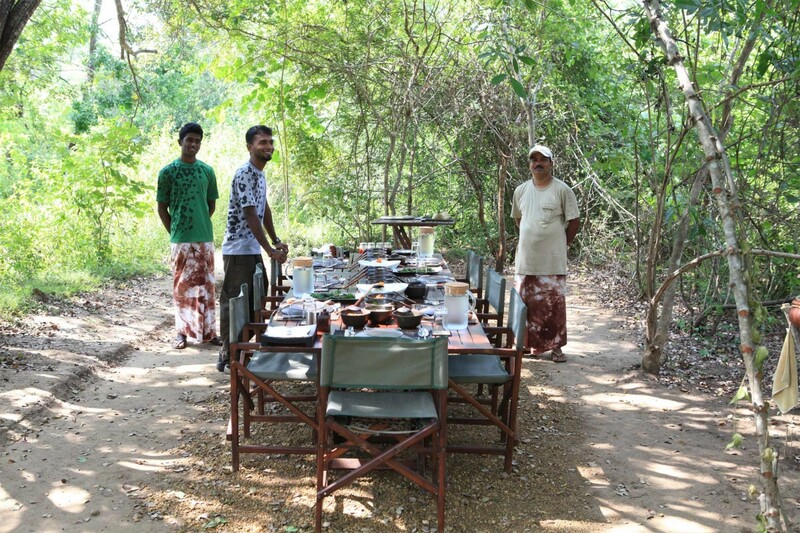 All meals are taken al fresco and freshly prepared by the camp’s trained chef using fresh ingredients to create delicious, unusual Sri Lankan dishes. Two game drives in well converted 4x4s are taken each day, complete with complimentary cooler box filled with drinks. 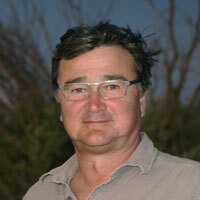 An experienced naturalist guide accompanies each jeep safari, vital for spotting the wildlife. 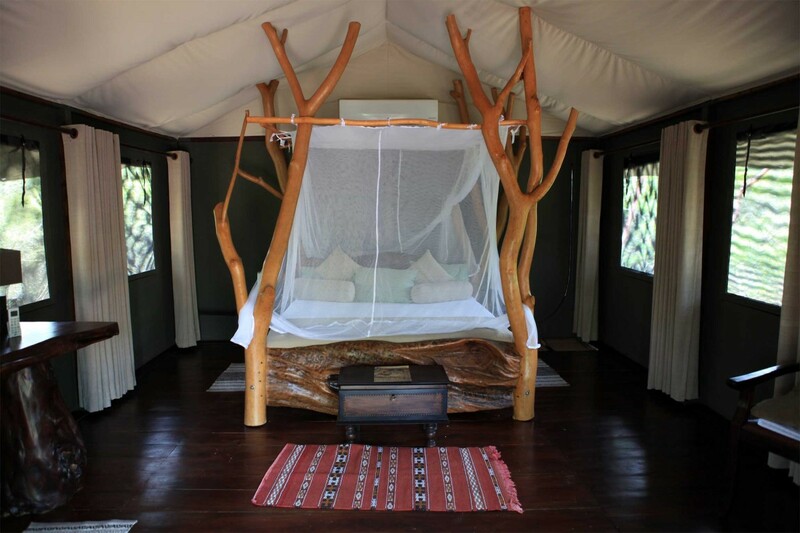 NB: At the time of writing, there is a new deluxe tent on site at their Yala camp which is of a much higher level of luxury and can be booked at a higher rate. 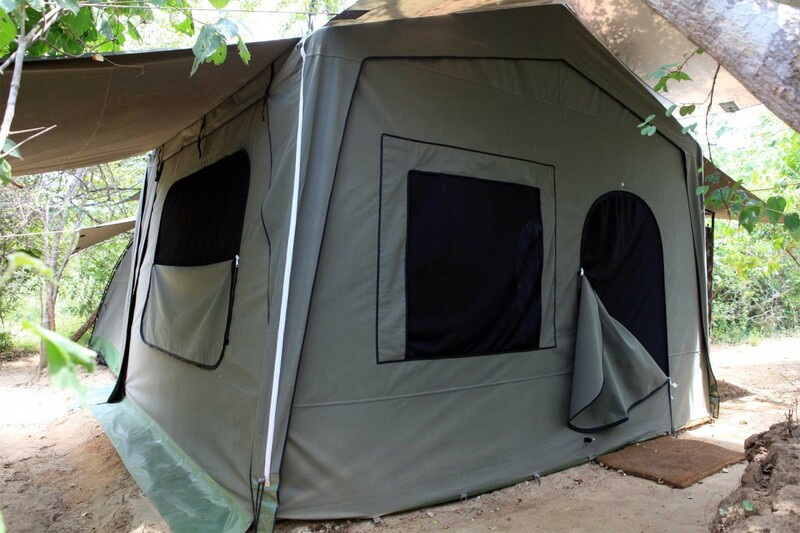 Noel intends to create another camp in a wilder area of the Yala buffer zone using only these new luxury tents – please ask us for news of the current situation. 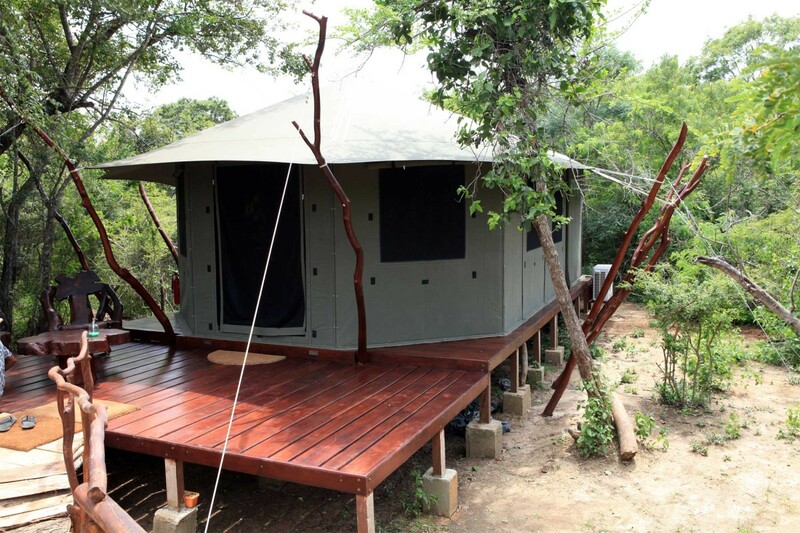 Walk-in South African-made tents with en suite bathrooms, king sized beds, hot water showers, eco -lavatories, room safe, bar and al fresco dining area, relaxation tent, well converted 4x4s with beanbags, tripods and monopods, binoculars, refreshments when on safari, wildlife library. At both Yala and Wilpattu you might encounter leopard, elephant, wild boar, jackal, wild buffalo, water and land monitor lizards, barking deer, crocodile, sloth bear, grey langur, spotted deer, samba deer, fishing cat and many species of birds, including serpent eagle, and Sri Lankan jungle fowl. If present and depending on which national park you are visiting, request a guide to show you a slender loris in the trees around the camp at night. If he can find a scorpion too, get him to shine a UV light on it – the result will surprise you. We’ve had an excellent, enjoyable holiday with lots of wildlife, lovely accommodation and excellent service… We would be delighted to recommend your services to anyone. Sri Lanka is excellent value for money.